In this modern era where we are surrounded by gadgets that makes our life easy, it is simpler to say that yes we are moving on into the next generation of modernization. We have almost everything that helps us to make our work more automatic and faster in an easy and efficient way. But, still there are some things that must be put in our thoughts. These are the medical facilities that we have today. Though we have standardized our medical facilities but what we still lack is emergency services which are still in the development phase. And to this we now bring you a product i.e. 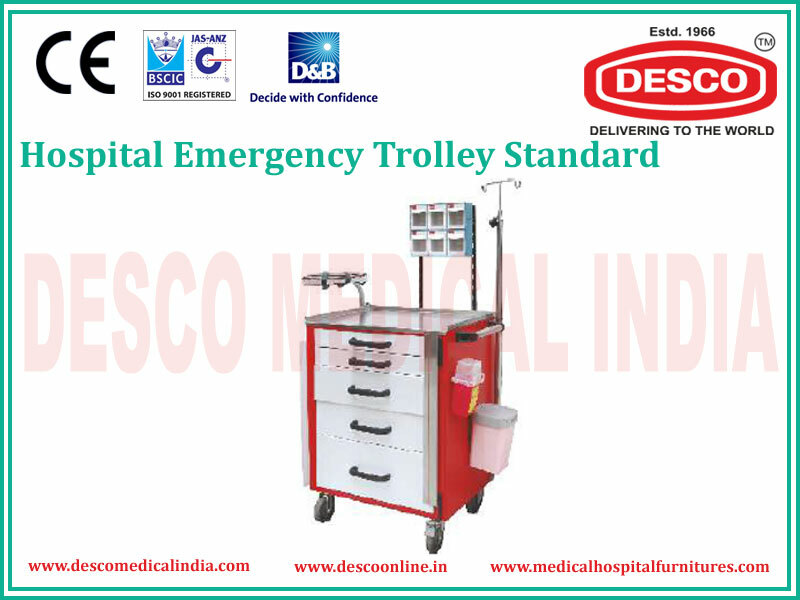 a Hospital Emergency Trolley. And this trolley is currently being distributed and manufactured by one of the most efficient companies of India, DESCO India. 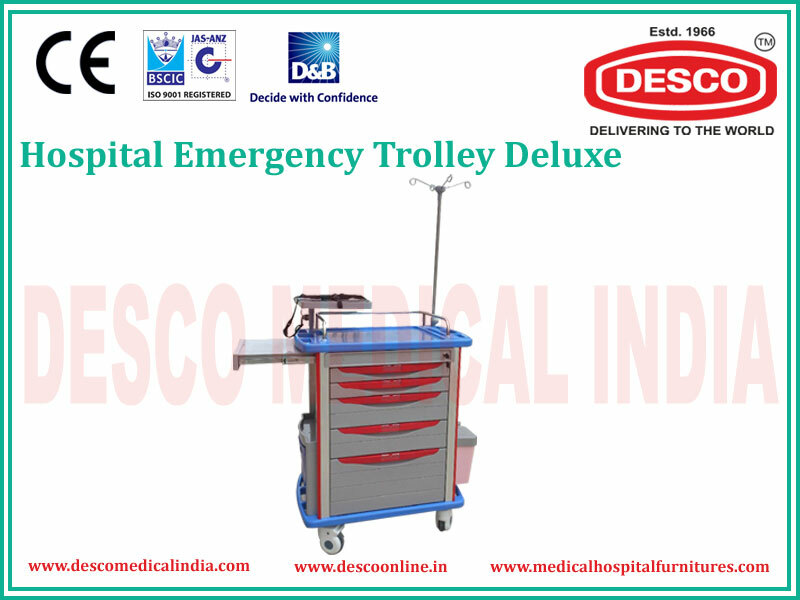 They manufacture these trolleys which are considered best and suitable when it comes to moving of the medical instruments from a place to some another place when its an emergency case. They manufacture these Medical Emergency trolleys which have a multiple storage facility to keep the medical instruments safe while moving here and there in emergency cases. Have a smooth movement by using the Push Handle. It has brakes along with 12.5 cm Castors and a multi bin container facility for storage. The dimensions of the product are: 65*40*115, suitable for moving the medical instruments. Moreover it has an arc handle along with a covering of some soft plastic which is made of transparent glass.